When I picked up Scarlet a few days ago, it had been quite a while since I read Cinder. I'm talking years. Therefore, I was a little fuzzy on what had transpired in the first book. Luckily, Meyer catches us up pretty quickly, but not in an over-the-top summary sort of way. I was a little confused at first because the first chapter comes from Scarlet's point of view, not Cinder's. As the story progresses, the book switches back and forth between Scarlet's desperate struggle to find her grandmother and Cinder's attempts to escape imprisonment. We also hear a bit from Kai and how he's fairing after the whole wrecked ball occurrence. I find Meyer's mixture of science fiction with classic fairytales to be incredibly inventive. I mean, who portrays Cinderella as a cyborg or Little Red Riding Hood as a futuristic produce seller? 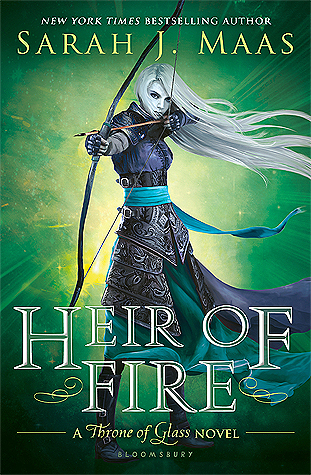 Originality is certainly something Meyer should pride herself on, even if the stories are a version of fairytale retellings. As soon as Wolf's character was introduced, I immediately thought "ugh, werewolf." The signs were pointing in that direction, and I was worried that Meyer would make this into a supernatural romance of some sort. Not that I have a problem with those, but like I said, Meyer is original. I wanted to see a non-clichéd love interest. Thankfully, Meyer sticks to what she's good at and veers away from the expected. I can't say more than that without including some spoilers. Although the were-wolf part wasn't unoriginal, I wasn't very impressed with the romance in this sequel. Scarlet and Wolf seem to have more of an insta-romance/chemical attraction than true affection, and I kind of rolled my eyes at how quickly they start to fall for each other. 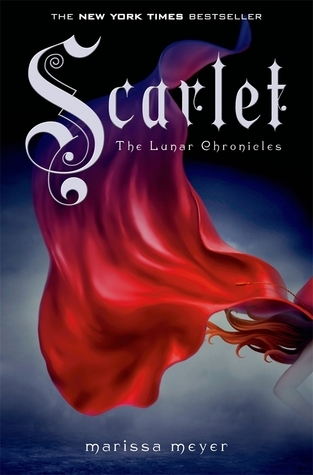 So, I gave this book 3.5 stars mostly because I gave Cinder 4 and I definitely didn't enjoy Scarlet quite as much. It's well-written and the story has potential, but this sequel felt kind of like a bridge to me. I wanted the plot to develop a little more, and I wanted a little more character development on the part of Cinder. I think the whole book takes place over the course of like a week, and maybe that's why I felt things didn't progress enough. Either way, I enjoyed it, but I wasn't as tickled with it as I was with Cinder. I do still plan on reading the next book though, simply because Meyer is a talented writer and I believe the overarching plotline holds a lot of potential. I see where Meyer is going with this series, and I like it. It's just not quite there yet, in my humble opinion.